This is a question we get asked all the time. 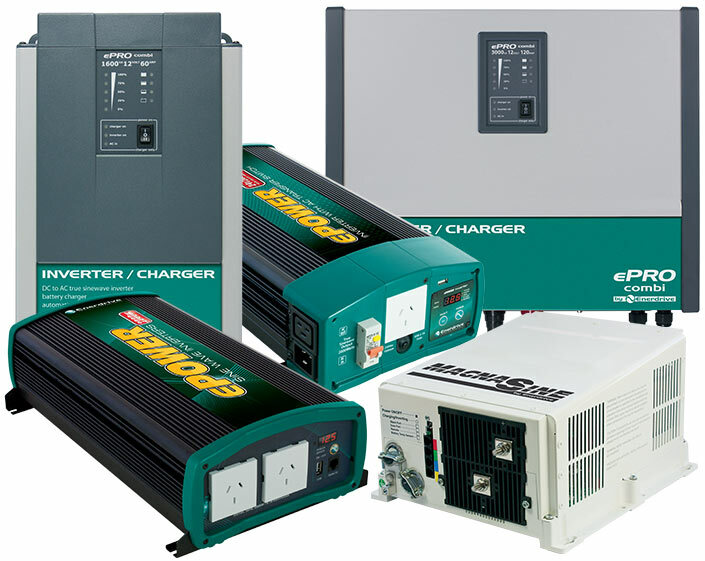 The size of the inverter is really dictated by the loads that you want to run. Let’s say your largest load is a microwave. A typical microwave will draw between 900-1200w. With this load you would install a minimum of 1500w inverter. This size inverter will allow you to run the microwave and have a little left over for running small items like phone charger, fan etc. With today’s lithium batteries, inverters play a big part due to the energy that a lithium battery can deliver. For lithium batteries that run external BMS systems, the output current restrictions are much less compared to a lithium battery with an internal BMS system. Now let’s take the 12v ePOWER B-TEC battery which includes an internal BMS setup. The printed circuit boards (PCB’s) are designed with compactness in mind to fit inside the battery. When cramming this entire tech into a small space, limitations come into play. Pretty much all of the Lithium batteries on the market that look like an “AGM” battery, suffer the same restrictions. The B-TEC 100 & 125Ah batteries like the other brands on the market of these capacities are restricted to a maximum discharge load of 100Amps. This means that the battery is only capable of delivering a maximum of 100A at any one time. On the other hand, the Enerdrive B-TEC 200Ah battery has the ability to deliver a maximum discharge of 200A. So, with this information at hand, a common 100Ah-150Ah lithium battery of this type can deliver enough energy to operate a maximum of a 1000w inverter. When calculating the amp usage of an inverter, you take the output wattage of the inverter and divide it by the battery voltage, i.e. 1000W ÷ 12V = 83.33 Amps. The other question we always get asked is, what if I put 2 x 100Ah batteries together in parallel, can I use a 2000W inverter? Again we are talking about the Lithium batteries on the market that look like an “AGM” battery here. As described above each battery has a maximum current output that can be achieved (100A per battery). 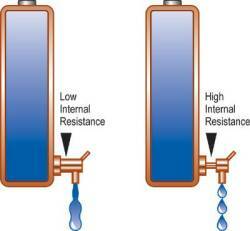 The internal BMS setups have a safeguard built into their system. If a battery reaches/exceeds the maximum current output, the battery will switch off internally to protect the BMS and the cells from over discharge. When this happens, the inverter and any loads running at the time are completely disconnected from the battery. Generally after 2-5 seconds, the battery BMS will switch the battery back on. If the large load is still present then the battery will just shut down again and the circle continues. When you have 2 batteries in parallel and the above happens, the inverter/loads are transferred to the second battery, and in many cases will overload that battery and it too will switch off. By the time this happens, the first battery has switched back on and the loads return back to the first battery and again the circle continues. This “ping – pong” affect between the batteries will eventually damage the internal BMS system of the battery, over-stress the cells and one or both batteries will end up failing, not to mention the inverter from continued DC disconnections and any sensitive DC equipment attached to the batteries. 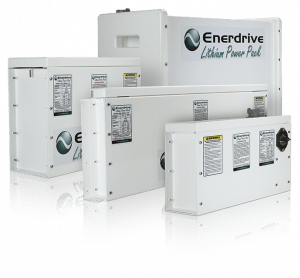 Bottom line, if you want to run large inverter loads above 1000w on a lithium battery, make sure you choose an lithium battery that is designed for larger inverters or a system that can be paralleled safely with active balancing between the connected batteries. We mentioned earlier in the piece about parallel connecting 2 x 100ah Lithium AGM lookalikes. Some manufactures say that you can with no ill effect on the battery pack over the course of its life, other manufactures are non-comital, and a limited number do not recommend parallel or series connections or warrant their batteries in these configurations (Enerdrive being one of them). For example, the Enerdrive B-TEC battery is not designed to parallel connect extra batteries to increase the overall capacity. When manufactures of lithium cells build batteries, careful consideration is taken to choose matching cells to build the battery pack. The batteries are assembled by the manufacture that is experienced and certified to test and assemble battery packs. The individual cells are tested and sorted by machine so that each 12v battery pack has matching cells with the same capacity and internal resistance. When assembling lithium-ion cells into functional battery packs, it is common to connect multiple cells in parallel. When lithium ion battery packs are connected in parallel and cycled, matching of internal resistance is extremely important to ensure long cycle life of the battery pack. Specifically, a 20% difference in cell internal resistance between two battery packs cycled in parallel can lead to approximately 40% reduction in cycle life when compared to two batteries parallel connected with the same internal resistance. The ePOWER B-TEC batteries internal management system (BMS) monitors each single prismatic cell within the battery during charge & discharge. However the BMS does not have the ability of making a physical connection to a second BMS system for balancing of the cells between each battery. So bottom line; Can you parallel connect a lithium battery like the ePOWER B-TEC lithium batteries? The short answer is yes. BUT as described above, overall performance of the battery pack and life expectancy will be reduced. Either run the gauntlet or play it safe, its your choice! !